If you don’t have children around you, I will forgive for not knowing what PJ Masks and Paw Patrol are. 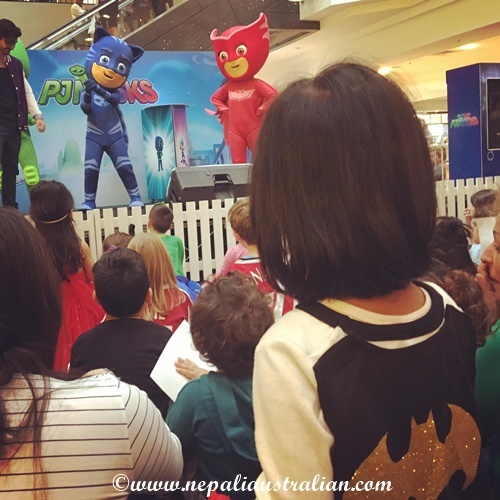 PJ Masks is an animated children’s television series which follows three 6-year-olds, Connor, Amaya, and Greg, who lead relatively normal lives by day, where they are neighbours, classmates, and friends. However, at night, they become Catboy, Owlette, and Gekko, and fight crime as the PJ Masks, a superhero team. Together they go on adventures, defeat criminals, solve mysteries, and learn valuable lessons. Chhori loved them so much that recently we bought her Owlette. She take her with her almost everywhere. So when we saw a show coming up for PJ Masks, we decided to take her. We told her where we were going and she was really excited. She will jump and sing, “PJ Masks are on their way – into the night to save the day …“She does mess up the words a bit but it is nice to see her all excited. So when we went to see the show, obviously there were lots of kids and parents. Some kids were dressed as Catboy, Owlette, and Gekko or have some toy with them. We dressed Chhori as a Batgirl and obviously she took her Owlette with her. We arrived early and sat at the middle of the stage. Slowly the place started to fill up and then the most awaited Catboy, Owlette, and Gekko came on stage. They talked, they sang and they danced. She had a great time. Then they said their good bye and left. I didn’t know what to do so started to talk to her and explain to her that they will come again next time. After a while she was OK. I got to know about Paw Parol from my nephew and Chhori started loving it too recently. 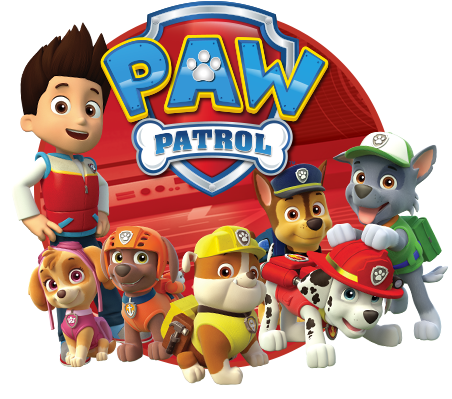 PAW Patrol is an animated television series focuses on a boy named Ryder who leads a pack of rescue dogs known as the PAW Patrol. They work together on missions to protect the shoreside community of Adventure Bay. Rubble is an English bulldog. Chase is a German shepherd. Rocky is a grey-and-white mongrel of an unspecified breed. Zuma is a chocolate Labrador retriever. As I am a nice mum ;), I decide to buy her a set of Paw Patrol bowl, cup and spoon. I know that Skye is her favorite character and we have few of her in our house but didn’t realise that they only put 5 dogs on the cup and the bowl. Seriously, who made that stupid decision? I did’t think about checking either when I buy them. Anyway, it took me good 5 minutes to explain to her that Skye was in mission when the photo was taken and after that she went on a holiday. Finally she understood and I was relived. Next day, my nephew was around and of course when saw the cup asked the same question. Do share you own experience with all the commercialised cartoons kids watch these day. 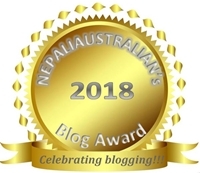 This entry was posted in Being Mum, Our daughter and tagged baby, big girl, chhori, cutie pie, embrashing things kids says, M from nepaliaustralian, my daughter, my world, nappy, Nepal, Nepali, nepali australian, Nepali blog, Nepaliaustralian, nepaliaustralian turns one, Paw Patrol, personal journey, PJ Maska, pull ups. Bookmark the permalink. Haha, my kids are a lot older now but with nieces and nephews I can relate to this. Nathan loves paw patrol and has a few toys as well. PJMasks I didnt know before as the cartoon is only available here on the Disney jr pay tv channel.